"I hope to have the strength to fulfill the mission," writes president elect on Facebook. Hours after being elected president, MK Reuven Rivlin published a personal post on his Facebook page, in which he thanked the MKs who voted for him. "I want to thank you. Those who voted for me - for placing your confidence in me and those who didn’t vote for me - for placing their confidence in me in the future,” he wrote. “I hope to have the strength to fulfill the mission in a way that will meet the expectations of my supporters and a dispel the concerns of those who were opposed to me,” continued Rivlin. 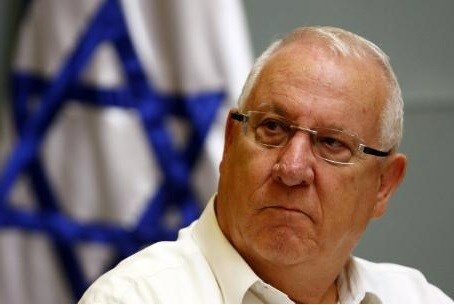 Rivlin implicitly referred to the tense relationship between him and Prime Minister Binyamin Netanyahu. "I have no bad blood and I have no heavy heart," he declared. Netanyahu had made several attempts to block Rivlin from becoming president and reportedly continued to do so even on Tuesday morning, right before the elections. Likud MKs were quoted Tuesday morning saying Netanyahu's inner circle had been pressuring them to vote for MK Meir Sheetrit (Hatnua), who lost out 53-63, instead of Rivlin, despite his being a member of their Likud party. One of the MKs reportedly said that Netanyahu's confidants have been conducting numerous phone calls with various MKs, imploring them to vote for the rival party's candidate. Netanyahu previously also considered legislation to postpone the vote or cancel the presidential institution, in what was seen as a systematic effort to block Rivlin. MK Shelly Yechimovich (Labor), who declared her support for Rivlin before the election, had harsh words for Netanyahu on Tuesday, slamming him for his attempts to block Rivlin from becoming president. Yechimovich told Channel 10 that Netanyahu's conduct towards Rivlin during the elections "bordered on disgrace." "Even after the victory, Netanyahu wasn't magnanimous for a single second, but instead showed a political, petty and ugly settling of accounts. I'm convinced that he didn't vote for Rivlin," said Yechimovich.